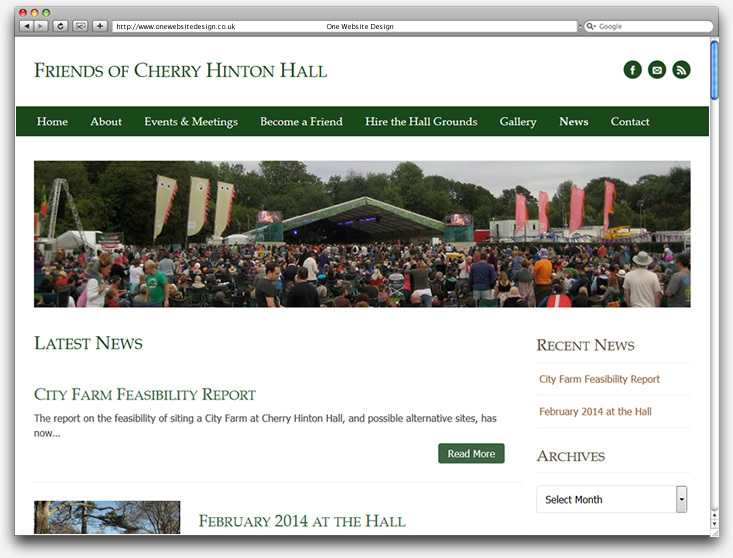 Cherry Hinton Hall is the home of the Cambridge Folk Festival which is one of the premier folk festivals in the UK. 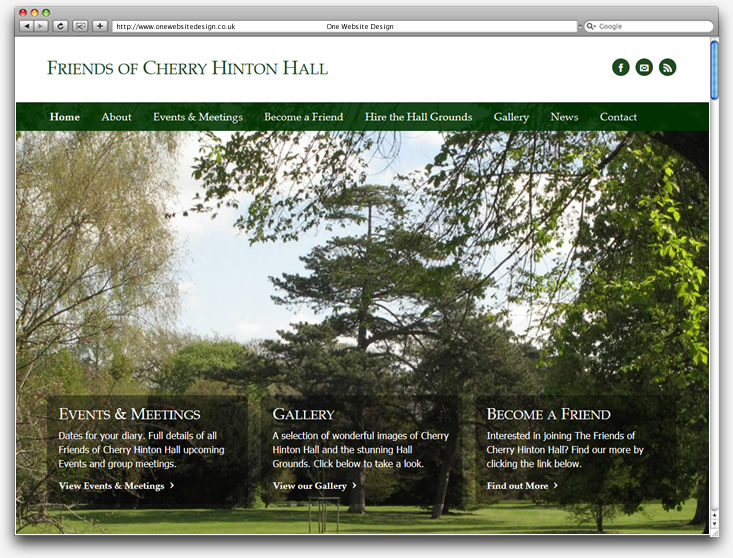 The Friends of Cherry Hinton Hall, a group set up to act as advocates and champions of the Hall and its grounds, were looking to upgrade their website to one with a modern design and a more user friendly administration area. With access to some wonderful images, I was able to create a brand new website with a full width background photograph of the stunning Hall grounds on the home page while the inner pages were given a clean, modern look. So far the new website has been met with positive comments from the group and its followers.